Salem pediatrics at North Shore Medical Center. Parents looking for Salem pediatrics will find exceptional pediatric primary care doctors at North Shore Medical Center. We have a network of Salem doctors, as well as pediatrics specialists in other North Shore locations. Our physicians are board certified in either pediatrics or family medicine and are affiliated with MassGeneral for Children at North Shore Medical Center. Through our clinical collaboration with MassGeneral Hospital for Children in Boston, our Salem pediatrics center offers specialty pediatrics clinics on the Salem campus. We are the only hospital on the North Shore staffed 24 hours a day by a dedicated group of board-certified pediatricians certified in advanced trauma and life support. Comprehensive Salem pediatrics at NSMC. Find a Salem pediatrics specialist. Specialists at NSMC's Salem pediatrics center provide outstanding care in pediatric neurology, pediatric rheumatology, physical therapy, occupational therapy, speech and language therapy, orthopedic surgery, pediatric surgery, neonatology and high-risk infant follow-up. Patients with developmental, social-emotional and behavioral problems are treated at our neurodevelopmental center. Our pediatric primary care physicians also refer patients to Boston pediatrics specialists from MassGeneral for Children in Boston, who see patients on our Salem campus and at the Mass General/North Shore Center for Outpatient Care. Those specialty areas include pediatric cardiology, pediatric endocrinology, pediatric gastroenterology, pediatric nephrology and genetics. In collaboration with NSMC's Department of Psychiatry, our Salem-based pediatrics offering includes comprehensive mental health services. Our mental health professionals treat children, adolescents and teens on an outpatient basis. Inpatient care is provided at a 20-bed facility at NSMC Union Hospital in Lynn. Pediatric hospitalists manage the care of patients admitted to MassGeneral for Children at North Shore Medical Center. They are trained in pediatrics hospital medicine and closely monitor each child and communicate with the child's family and child's pediatrician. They also communicate with other physicians of the North Shore staff. They help ensure fast turnaround of tests and treatments, and ensure the smooth transition of care back to the pediatrician after the child is discharged. 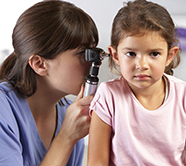 Learn more about Salem pediatrics services. Use Find a Doctor to view the complete range of medical and surgical services and doctors North Shore Medical Center has to offer, including cardiac surgery, tomosynthesis mammography and weight loss surgery Boston.